As I continue to dig through the final 2016 sales numbers, I have found that the Chevrolet Corvette has once again led the premium sports coupe segment in annual sales – selling more than twice as many cars as the second place cars on the list. While the sports coupe market in the United States is dominated by the American muscle cars, the Chevrolet Corvette is generally the 4th-best performance oriented model in terms of annual sales. 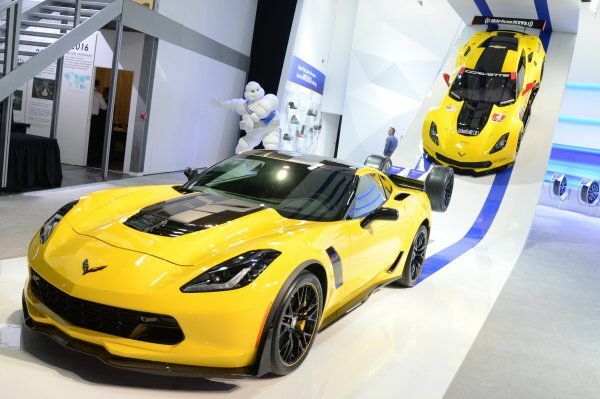 Due to the vast difference in price between the Ford Mustang, the Chevrolet Camaro, the Dodge Challenger and the Corvette, the Chevy 2-seater isn’t like to ever catch the muscle cars, but when it comes to comparing Vette sales to other premium sports coupes sold in the US – the Corvette is the king by a substantial margin. What is a Premium Sports Coupe? Before getting into the leaders of the premium sports coupe segment – a quick look at how I classify these cars. I understand that the definition of a “sports car” varies widely from one person to the next and while some people insist that proper sports car only has two doors and two seats, I have a hard time excluding the Nissan GT-R from the sports car discussion because you could (in theory) seat four people. With that in mind, I compile my list of the bestselling sports coupes in America with all of the vehicles that are sold exclusively as a coupe, with unique sales numbers from any other model that might have more than two doors. Many of these models also come in a convertible form and that is fine – so long as they are two door models. Within the list of the bestselling sports coupes in America, we have a huge range in pricing, but if when looking over that list, there are two clear groups of cars – one that starts in the $50k range and climbs and another which might top out in the $50k range, but they generally start much lower. It isn’t fair to expect the Corvette or the Porsche 911 to sell in similar numbers to the far less expensive Ford Mustang, so each year, I come up with my list of the bestselling sports coupes in America. Once again, the Chevrolet Corvette was the bestselling premium sports coupe in America for 2016, moving 29,995 units during the course of the year. The Lexus RC was second with 11,165 units sold, so the Corvette sold more than twice as many units as the lux Lexus coupe. The Porsche 911 – the car to which the Corvette is most often compared and a car which can challenge the Chevy in a variety of different performance venues – finished third on the premium sports coupe list with 8,901 units sold. With the Corvette moving nearly 30k units, the Chevy outsold the Porsche by a ratio of better than 3 to 1. The Porsche Boxster and Cayman combined to come in fourth with 6,260 units sold, and if you add those numbers to the 911 sales, you get a total of 15,161. Chevrolet sold almost twice as many Corvettes as Porsche sold 911s, Boxsters and Caymans. A pair of Mercedes Benz models were fifth and sixth, with the SL moving 3,722 units while the SLC/SLK moved 3,397 units. Rounding out the top ten, we have the Infiniti Q60 (3,970), the Audi TT (3,044), the BMW i8 (1,594) and the Mercedes Benz AMG GT (1,227) in seventh through tenth respectively. Finally, the last five cars on this list include the BMW Z4 (1,187), the Audi R8 (736), the Nissan GT-R (698), the Dodge Viper (630) and the Alfa Romeo 4C (480). Congratulations to the Chevrolet Corvette for once again being the bestselling premium sports coupe – a title which I expect to see the Vette retain for years to come. No surprise here. Faster, better looking, better handling than all over priced foreign junk that competes with it.